The face of the lead (which the wind catches) is twice that of any other flying back leads (excluding the Satellite) thus they always fly back no matter the distance. The 'Satellite' Flying Backleads have been designed to achieve what most other flying back leads don't and that is to actually FLY back up the line a suitable distance to conceal the line adequately. The rubber parabolic washer on the front can be interchanged between two different sizes to allow the angler to choose how far back the line will be pinned down. The smaller for long distance and the larger for short / medium range. Optimum density means just the right amount can be moulded around a swivel or hook link to provide efficient rig mechanics for balancing pop ups on a variety of presentations. The putty's adhesive properties ensure it stays in place on the cast and during use and it hardens slightly in water ensuring excellent durability. Comes complete with a string holder to easily retrieve your bacleads. Pins your lines to the bottom of your margins to prevent weary carp from swimming into your lines. Great for waters when there is a high amount of boat traffic that could easily catch onto your mainlines. 1.25oz (35g) Captive Back Leads that strike free of the line and are retrievable via a retaining cord. Ideal if you want to use a really heavy back lead but do not want the extra weight on the line whilst playing a fish. 2oz (60g) Captive Back Leads that strike free of the line and are retrievable via a retaining cord. It is ideal for fine tuning and balancing buoyant hookbaits or pinning down hooklinks and mainline. Tungsten Putty is also very useful for smearing along braided hooklinks to pin them down tight to the lake bed. At Last, an adjustable back lead offering the ability to easily adjust the tension needed to discharge the back lead from the clip in the event of a snag on an underwater obstacle. Fly like little bullets up your line! 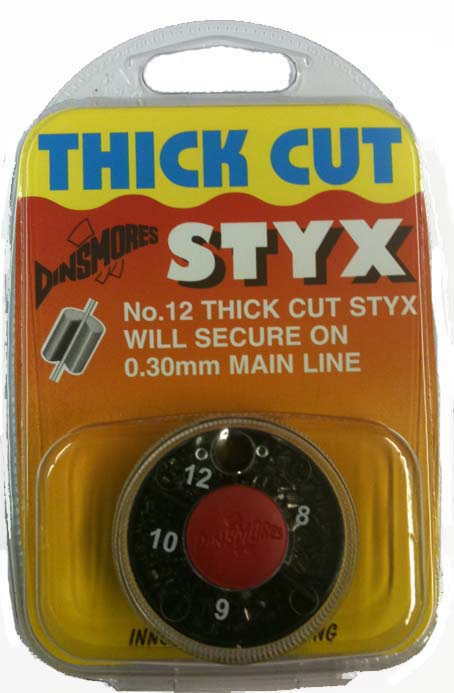 Useful for pinning down and concealing your mainline flush on the bottom. Anti-glare for a stealthy presentation. The back lead clips are used to peg the line to the bottom. Simply clip a weight on and slide the tail rubber sleeve over the clip. The sliding clip can then be inserted over the line as the lines are taken out by bait boat/canoe. Korda 'Safe Zone' flying back leads are totally versatile. You can now change the weight of the back lead which determines how far it will fly back, the lighter the weight the more it flies back. Includes 10 X 4mm Rubber Beads. Floating putty with added weight for casting. 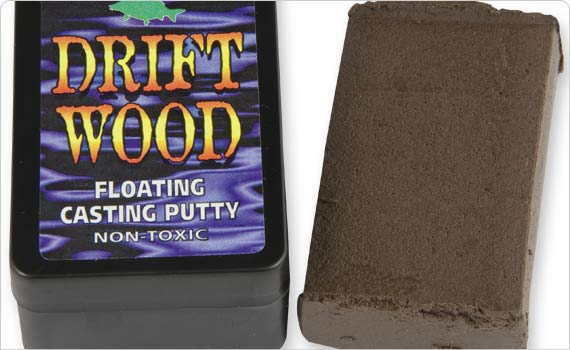 This distinctive putty is essential for those who enjoy stalking fish in summer. A small amount Driftwood on the line instantly gives you that vital extra weight to cast a free-lined mixer to wary surface feeding carp. This exceptional product sits perfectly on the water just like an iceberg, one-third above two thirds below.